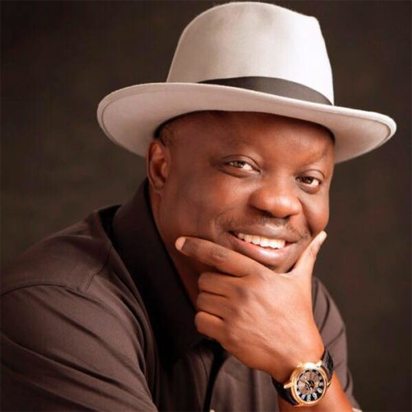 Immediate-past governor of Delta State and All Progressives Congress (APC) 2019 Delta South senatorial candidate, Dr Emmanuel Eweta Uduaghan, has debunked online reports that an Abuja High Court has nullified his candidature and ordered the APC to conduct fresh primaries for Delta South Senatorial District. The purported court order, the report had said, followed a suit filed by AVM Terry Omatsola Okorodudu (Rtd) challenging the candidature of the former governor. But Dr. Uduaghan, in a statement by his Media Assistant, Monoyo Edon, on Tuesday, denied the report stressing that he was never aware of the case nor joined in the alleged suit. The statement further clarified that the court had at no time ordered the Independent National Electoral Commission (INEC) to remove his name from the list of candidates in the 2019 senatorial election which holds this Saturday. The statement read: “The attention of His Excellency, Dr. Emmanuel Eweta Uduaghan, the Delta South senatorial candidate of the All Progressives Congress (APC) in this Saturday Presidential and National Assembly Elections has been drawn to a High Court Judgment allegedly nullifying the Delta South APC primaries where he emerged as the candidate of the party. “We wish to clarify that His Excellency, Dr. Emmanuel Eweta Uduaghan, was never aware of the case nor was he a party to the case and was never joined in the alleged suit. “The court had no time ordered the Independent National Electoral Commission (INEC) to remove the name of Dr. Emmanuel Eweta Uduaghan from the list of candidates in the election. “Dr. Emmanuel Eweta Uduaghan has instructed his lawyers to take necessary legal steps on the matter, even as he enjoins APC party faithful and supporters to come out en mass to vote the party and all its candidates to victory in the elections. “We wish to state categorically that His Excellency, Dr. Uduaghan remains the candidate of the APC for Delta South and we are confident of winning the election.